The academic research papers listed here focus on integrated reporting in South Africa. To access research on integrated reporting around the world please refer to the International Integrated Reporting Council (IIRC) website. Atkins, J. and Maroun, W. 2015. Integrated reporting in South Africa in 2012: perspectives from South African institutional investors. Meditari Accountancy Research, 23 (2), 197-221. Atkins, J. and Maroun, W. 2018. Integrated extinction accounting and accountability: building an ark. Accounting, Auditing & Accountability Journal, 31 (3), 750-786. Baboukardos, D. and Rimmel, G. 2016. Value relevance of accounting information under an integrated reporting approach: A research note. Journal of Accounting and Public Policy, 35 (4), 437-452. Barth, M. E., Cahan, S. F., Chen, L. and Venter, E. R. 2017. The economic consequences associated with integrated report quality: Capital market and real effects. Accounting, Organizations and Society, 62, 43-64. De Villiers, C. and Maroun, W. 2018. Sustainability Accounting and Integrated Reporting, Oxfordshire, UK, Taylor & Francis. De Villiers, C., Pei-Chi, K. H. and Maroun, W. 2017. Developing a conceptual model of influences around integrated reporting, new insights and directions for future research. Meditari Accountancy Research, 25 (4), 450-460. De Villiers, C., Rinaldi, L. and Unerman, J. 2014. Integrated Reporting: Insights, gaps and an agenda for future research. Accounting, Auditing & Accountability Journal, 27 (7), 1042-1067.
du Toit, E. 2017. The readability of integrated reports. Meditari Accountancy Research, 25 (4), 629-653.
du Toit, E., van Zyl, R. & Schutte, G. 2017. Integrated reporting by South African companies: a case study. Meditari Accountancy Research, 25 (4), 654-674. Dumay, J., Bernardi, C., Guthrie, J. and Demartini, P. 2016. Integrated reporting: A structured literature review. Accounting Forum, 40 (3), 166-185. Dumay, J., Bernardi, C., Guthrie, J. and La Torre, M. 2017. Barriers to implementing the International Integrated Reporting Framework: A contemporary academic perspective. Meditari Accountancy Research, 25 (4), 461-480. Lee, K.-W. and Yeo, G. H.-H. 2016. The association between integrated reporting and firm valuation. Review of Quantitative Finance and Accounting, 47 (4), 1221-1250. Mansoor, H. and Maroun, W. 2016. An initial review of biodiversity reporting by South African corporates – The case of the food and mining sectors. South African Journal of Economic and Management Sciences, 19 (4), 592-614. Maroun, W. 2017. Assuring the integrated report: Insights and recommendations from auditors and preparers. The British Accounting Review, 49 (3), 329-346. Maroun, W. 2018. Modifying assurance practices to meet the needs of integrated reporting: The case for “interpretive assurance”. Accounting, Auditing & Accountability Journal, 31 (2), 400-427. Maroun, W. and Atkins, J. 2015. The Challenges of Assuring Integrated Reports: Views from the South African Auditing Community. 2015. McNally, M.-A. and Maroun, W. 2018. It is not always bad news: Illustrating the potential of integrated reporting using a case study in the eco-tourism industry. Accounting, Auditing & Accountability Journal, 31 (5), 1319-1348. McNally, M.-A., Cerbone, D. and Maroun, W. 2017. Exploring the challenges of preparing an integrated report. Meditari Accountancy Research, 25 (4), 481-504. Naynar, N. R., Ram, A. J. & Maroun, W. 2018. Expectation gap between preparers and stakeholders in integrated reporting. Meditari Accountancy Research, 26 (2), 241-262. Raemaekers, K., Maroun, W. and Padia, N. 2016. Risk disclosures by South African listed companies post-King III. South African Journal of Accounting Research, 30 (1), 41-60. Rinaldi, L., Unerman, J. and de Villiers, C. 2018. Evaluating the integrated reporting journey: insights, gaps and agendas for future research. Accounting, Auditing & Accountability Journal, 31 (5), 1294-1318. Solomon, J. & Maroun, W. 2012. 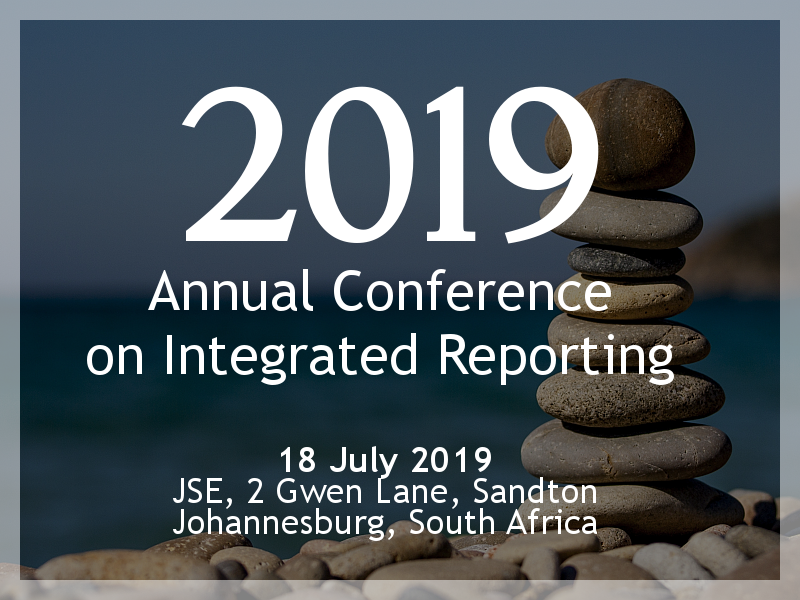 Integrated reporting: the new face of social, ethical and environmental reporting in South Africa? London: The Association of Chartered Certified Accountants. Sukhari, A. and Villiers, C. 2018. The Influence of Integrated Reporting on Business Model and Strategy Disclosures. Australian Accounting Review, In press (0). Usher, K. and Maroun, W. 2018. A review of biodiversity reporting by the South African seafood industry. South African Journal of Economic and Management Sciences 21 (1), 1-12. Van Zijl, W., Wöstmann, C. and Maroun, W. 2017. Strategy disclosures by listed financial services companies : signalling theory, legitimacy theory and South African integrated reporting practices. South African Journal of Business Management, 48 (3), 73-85. Zhou, S., Simnett, R. and Hoang, H. 2018. Evaluating combined Assurance as a new Credibility Enhancement technique. Auditing: A journal of Practice & Theory. Zhou, S., Simnett, R. and Green, W. 2017. Does Integrated Reporting Matter to the Capital Market? Abacus, 53 (1), 94-132.